Mary´s Travel & Tourist Services offers wide range of personally checked, quality accommodation for vacation or business travel in Prague. 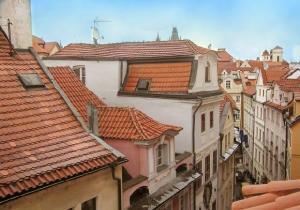 The offer includes 391 accommodation in Prague, from cheap to luxury accommodation, in or out of the Prague city center. 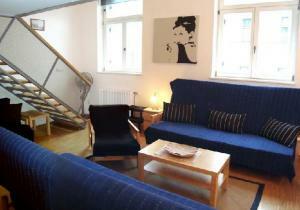 Mary's serves up comfortable apartments in Prague for very reasonable prices. Price of an apartment rental in Prague is lower than a reservation of a comparable hotel room and an Mary’s apartments offers more space, luxury and privacy. Moreover, you can book our apartments online and very easily! With Mary's Prague hotel reservations, you get lower prices than hotel’s rack rates Only Mary’s gives you 5% discount for online booking. Also with no hidden extras - Mary's travel agency does not add any "agency fees" to the prices. We just provide the best price of accommodation we can. Every day new discounts for Prague hotels, pensions and apartments are added to the special offers list of Prague accommodation. Further discounts applicable on apartment rentals: discount of 10% for students, teachers* which are ISIC, IYTC and ITIC card holders, discount of 5% for the first minute reservations* (3 month or earlier before your stay), phone rental for free on request and of course discount for online booking. In order to arrange a perfect holiday in Prague, Mary's also provides full service with other travel related services as airport transfers, guided sightseeing tours and river cruises, private guides, one-day trips to castles and beautiful towns nearby, active holiday programmes, ticket reservation to cultural events, opera or theatre, folklore evenings or restaurant bookings. Mary's can plan your whole Prague trip or Prague stag weekends and prepare complete group itineraries according to your requirements. 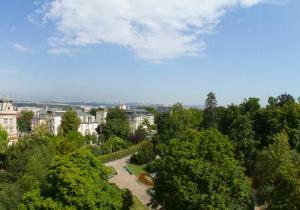 Come to Prague and experience Prague and enjoy holiday in Prague apartments. Friendly, multilingual staff is ready to answer any of your Prague related questions, every day of the week, always as soon as possible. You can reach us online by chat, telephone, Skype or few hours by email. Mary's office is open 365 days in a year, no matter whether it is a holiday or regular workday. We are here to help You all the time. For 20 years at the same place with same high quality. Lot of Prague and Czech Republic related information is gathered in our Prague guide. Upon arrival you get a large city map and a Prague guide book, what will make your stay even more comfortable. We are not an virtual agency. We offer a human support and individual dealing.